Introducing colour, texture, subtlety or pattern to your kitchen becomes far easier when you are designing your kitchen from scratch. You get the chance to add some drama and rustic design to a room in the home that embodies community and taste. 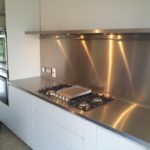 In the past, kitchen splashbacks have been something functional to use in the kitchen as protection for the walls that sit behind worktops and hobs. 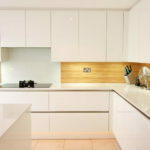 Now, we get to live in a time of trends and interior design ideas that allow those same splashbacks and brick slips to contribute to the aesthetics of the kitchen wall cladding. 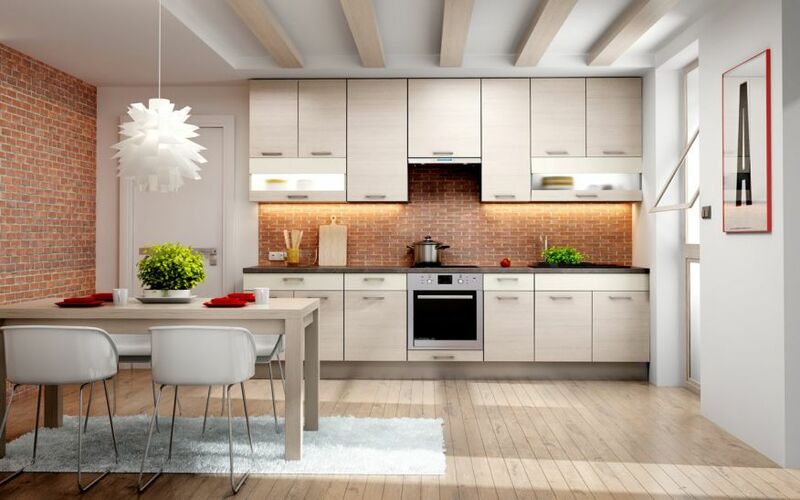 You can choose to design your kitchen on a budget and still manage to grab a sleek finish with an eye-catching feature. 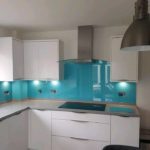 You have a huge choice when it comes to the kitchen splashbacks you can choose from, from the colour to the material that you get. There are a lot of options when it comes to picking the materials that you want for a rustic design, but you should consider how the material you choose matches in with the rest of the kitchen. 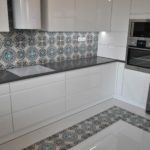 Tiles Whether you choose to go for metro tiles or not is up to you, but they are easy to keep clean and are low maintenance as an option for your kitchen splashback. You could go with a rustic design and use rustic brick slips or manufactured brick slips and bring the outdoor look inside the house. Laminate If you’re on a budget, laminate is a fantastic option because it doesn’t cost too much to buy and install. It can still look great, so think about it as an option. Stainless Steel For those who favour a more industrial look in their kitchen, stainless steel offers a great look and is simple to look after. 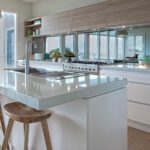 Glass Not often a choice, but glass can be a classy addition to any kitchen and you can choose to have a patterned design or even a coloured piece of glass to match the rest of the kitchen. Stone You can invest a little more in quartz for stone to make a real statement in your kitchen, and if you so choose, your kitchen could really stand out with a matching worktop to the kitchen splashback. Mirror If you are working with a small kitchen, you can brighten up the space and offer a new look to a kitchen that was always deceptively small. 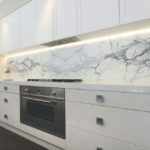 Marble A budget alternative to stone, marble works very well as a kitchen splashback as you get the impressive look of stone without the cost. Each of these materials can be fashioned into the wall cladding kitchen splashback ideas you have always imagined for your kitchen. They may not be a brick material, but the idea is to create a look that fits your kitchen shape and size. Your kitchen makeover can be the talk of the neighbourhood simply for its look, and with Deco Stones, you can make it as budget friendly as you like. 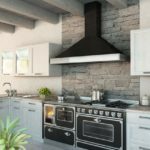 This entry was posted in Interior design trends, Kitchen Renovation Tips, News and tagged brick effect, kitchen, splashback, Stone Wall, wall cladding.